Should We Know Which Companies Ship Our Jobs Overseas? I am a Michigan resident in the 9th District and, soon, the newly drawn 14th Congressional district. My congressman is Gary Peters, a vocal supporter of American workers and small business. In February of this year, Congressman Peters introduced an amendment (HR 3875) to a house bill. The amendment is known as the "Outsourcing Accountability Amendment". It would have required large U.S. companies (revenues over 1 billion dollars) to disclose how many of their jobs are based on U.S. soil and how many are based abroad. The obvious intent was to let the public know how many American jobs are being being outsourced. On March 8th of this year, the Republican controlled House voted down the bill. The vote count was 230-175; only three Republicans voted for the Amendment as the vast majority of their Republican colleagues stood in support of corporations who ship American jobs overseas. These same Republicans then stand in criticism of the President's record on job creation and the economy. Do you agree that investors have a right to this outsourcing information? When we invest, is it important to know whether we are supporting jobs here in America or the shifting of those jobs overseas? Aren't we entitled to to reward (if we want to) those companies that create jobs at home rather than eliminate them? Most citizens believe that the Republican party is "better for business", and, I suppose, protecting businesses from this type of public disclosure is, selfishly, "good for business". After all, the main reason why a corporation would shift jobs overseas is because offshore labor is cheaper and good for the company balance sheet. I believe that Republicans should stand for what is good for the country; not, simply, what is good for corporate profit and executive compensation. That is, in reality, what this debate is about. Who is more important? The American worker or corporate executives and shareholders? Have these really become competing interests?Can't there be some measure of equality on this issue? Have American executives become so focused on the bottom line that they have forgotten what made this country great? Congressman Peters vows to champion the cause of workers. He vows to be very vocal on the issue of corporations shipping American jobs overseas. We are heading into an important election year and the battle lines are becoming clear. There are clear differences, for instance, in the corporate America vision of a Mitt Romney and his ilk and the steady, more balanced, vision of President Obama. I believe that we need to elect and re-elect leaders who will fight for the middle class, average American families and American workers. I applaud Congressman Peters' efforts in this regard. Where do you stand on these important issues? What is your vision for the future of America? Mark M. Bello is the owner and founder of Lawsuit Financial Corporation where he is instrumental in providing cash flow solutions and consulting when necessity of life lawsuit funding is needed during litigation. Mr. Bello has thirty-four years experience as a trial lawyer and 13 years as an underwriter and situational analyst in the litigation funding industry. He is recognized as an expert in this field by ExpertPages.com and ALM Experts. Mr. Bello is a sustaining and Justice PAC member of the Michigan Trial Lawyers Association, Justice Pac member of the American Association for Justice, Member of the American and Michigan Bar Associations, Member of Public Justice and Public Citizen, Member of InjuryBoard, out-of-state member of the Mississippi Association for Justice and a business associate of the Florida Justice Association, Texas Trial Lawyers Association and the Consumer Attorneys of California. 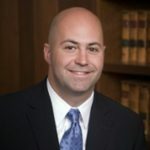 His articles have appeared in FindLaw, The West Reporter, The Safety Report, Plaintiff Magazine, Advocate Magazine, and other fine legal publications. The truth behind offshoring is hidden behind a curtain most will never see. Centers located primarily in the Philippines and India do not have the oversight to secure our data and prosecution of individuals is very rare and only done for political posturing. Think about it, a company in the USA will pay around $15.00 to $22.00 per hour for an outsourced employee offshore. No taxes, insurance or HR issues just a flat rate. What is being paid to the actual person doing the job is around $1.00 to $3.00 per hour. The margin supports commissions, infrastructure and creating millionaires of the ownership. Outside of popular belief the amount being paid to the employee is far below our minimum wage based comparison. Remember these are third-world countries and people are suffering. If an agent offshore is asked to provide some secure data for around a few hundred dollars US and this is the difference between feeding the family for the month what do you think? Basic survival will bring out the thief in everyone especially if you are hungry. It’s time we look at bringing these jobs back to the US to keep our data secure.